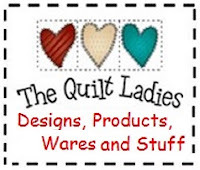 Years ago I worked at the public library in Sioux City, Iowa. They had wonderful canvas bags for the home delivery patrons and I based my pattern on what I remember about them. 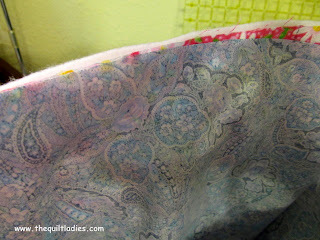 This post is large with LOTS of pictures and it's all here on ONE day ! 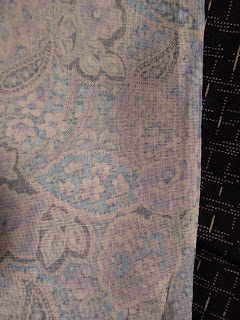 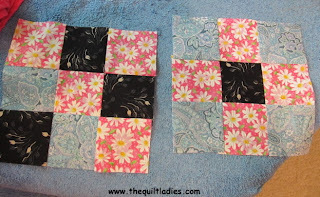 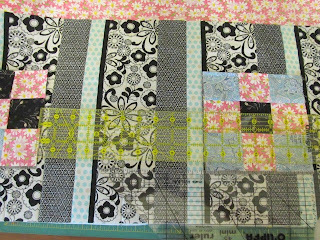 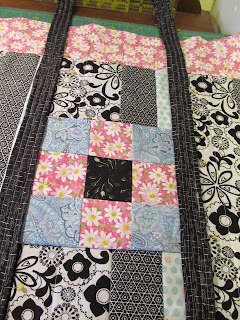 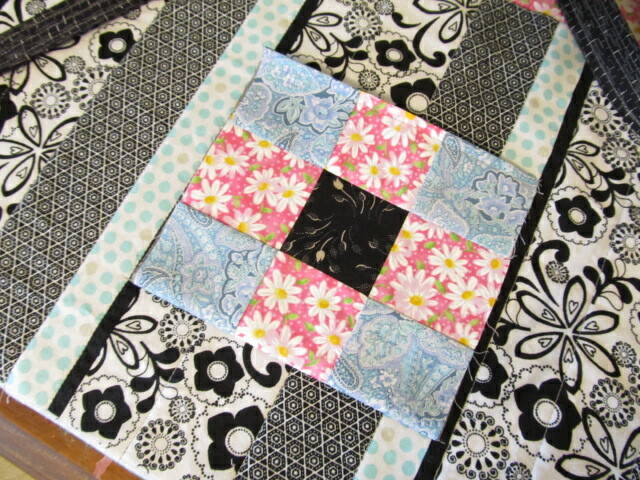 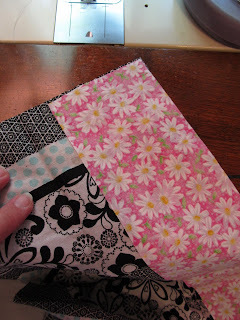 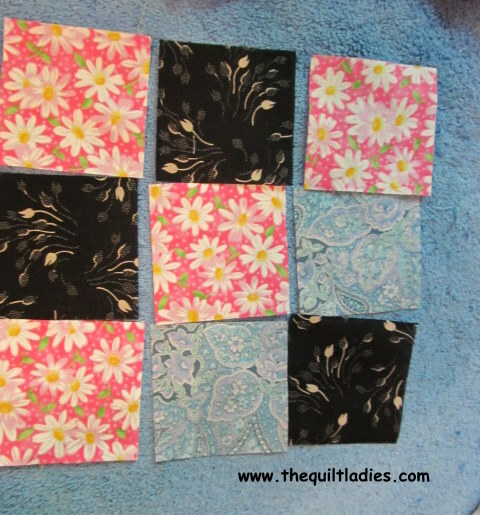 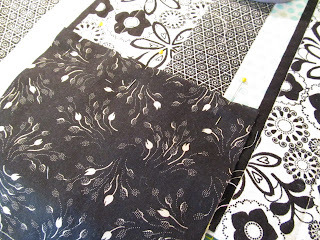 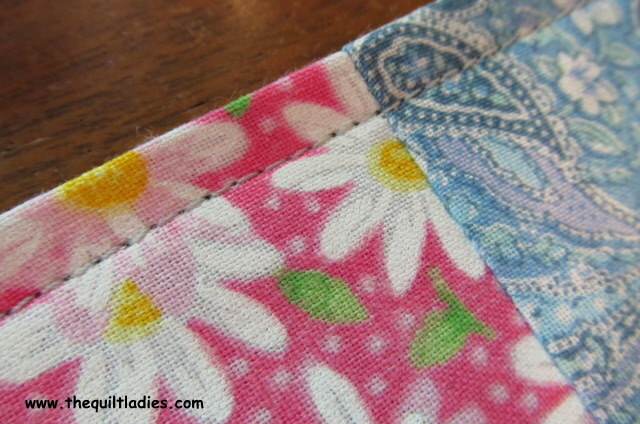 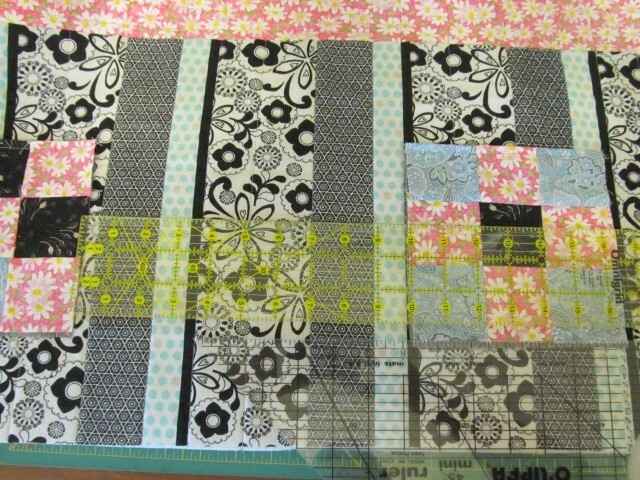 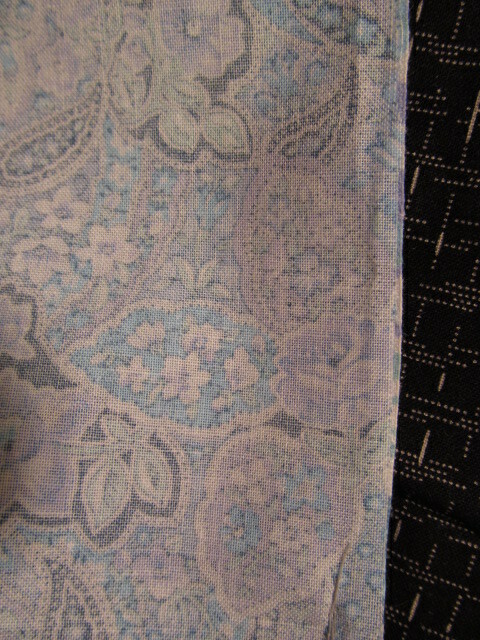 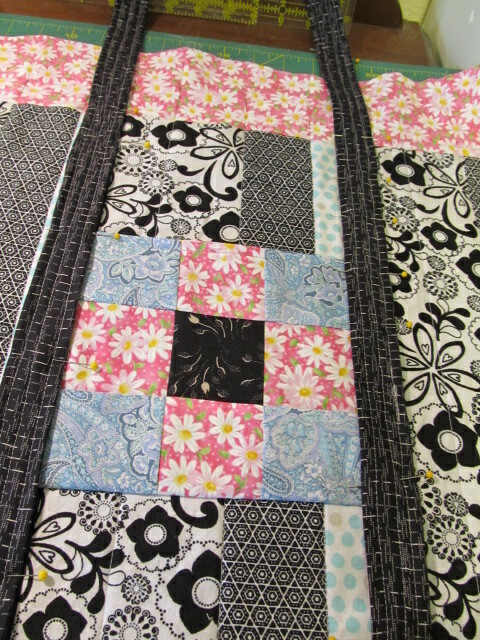 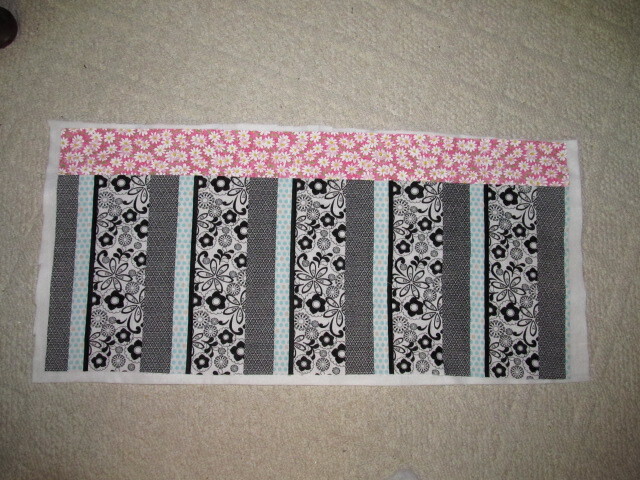 Put patchwork and lining good side to good side and sew with a 1/4” seam allowance across the top of the patch work. 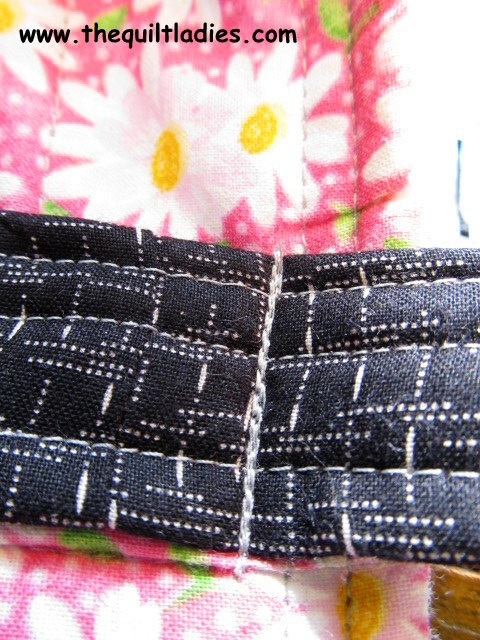 Top stitch along the edge just sewn. 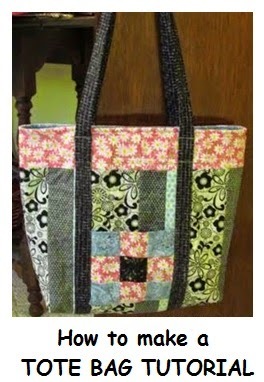 Sew together to form the bag. 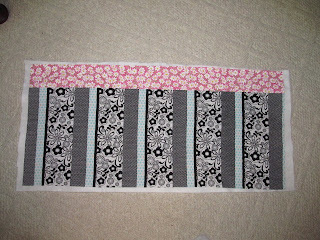 Layer, batting and bag. Lay flat and press if needed. 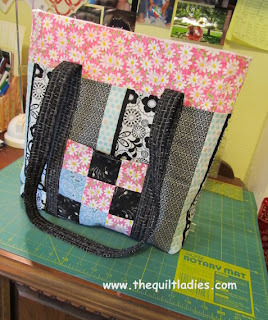 This is the time to quilt your bag, by hand or by machine. 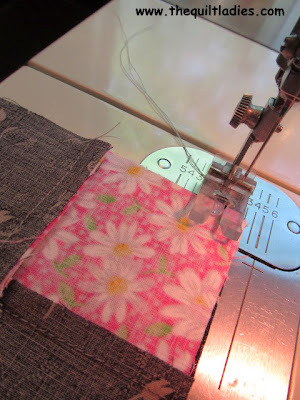 I machine straight stitched mine. 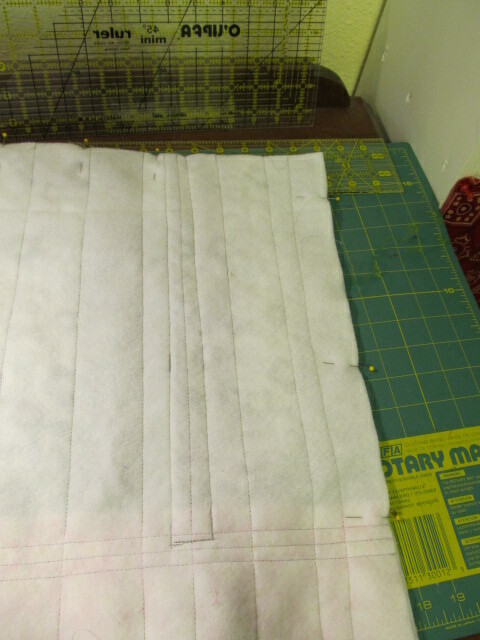 Press one edge of the handle in ¼” and the other edge press down 1” . Insert batting and fold fabric over, add top stitching. 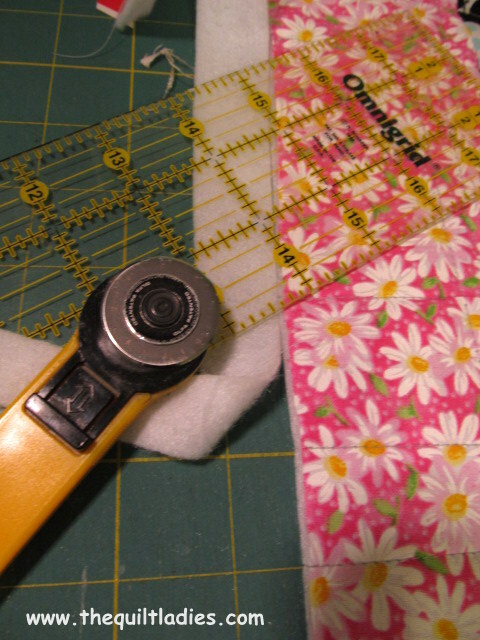 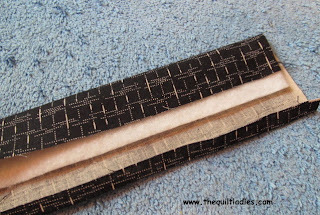 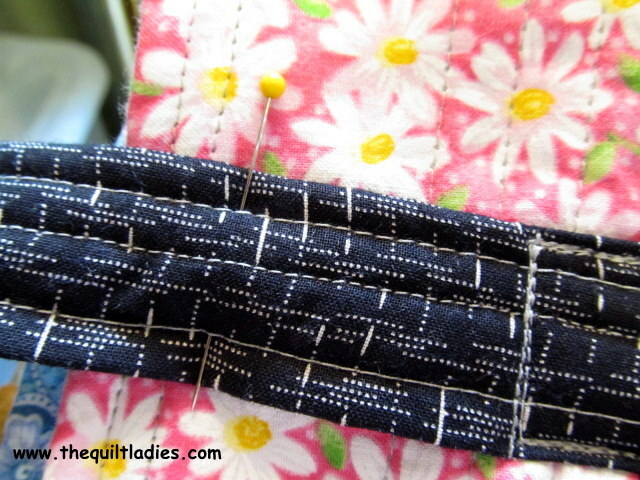 Measure pockets in place, fold the pocket down and pin, sew with ¼” seam allowance. 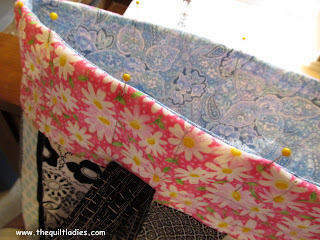 Fold back up and press. 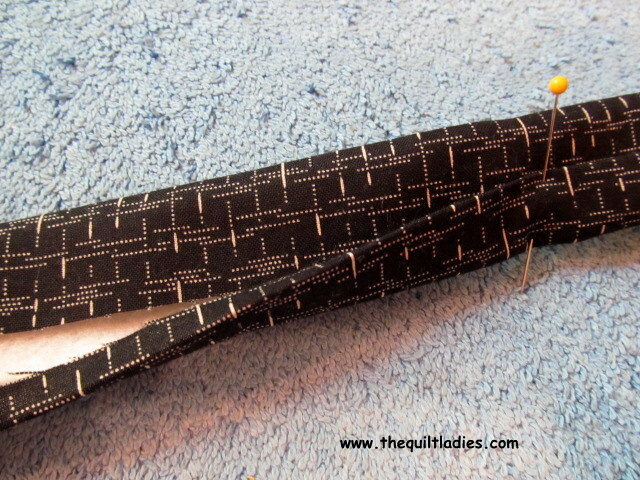 Add handles, making sure they do not cross, pin and top stitch. Stop stitch about 2 inches from the top. 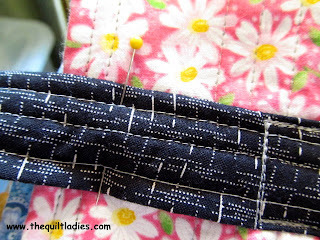 Do both pockets. Extend handles out of the bag and fold the bag in half. 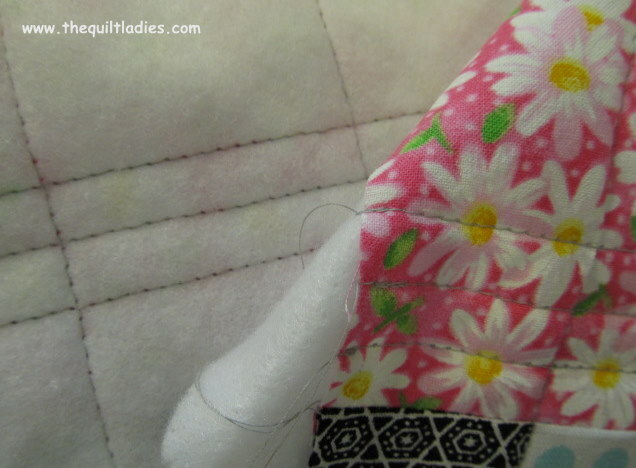 Sew along the bottom and side seam. 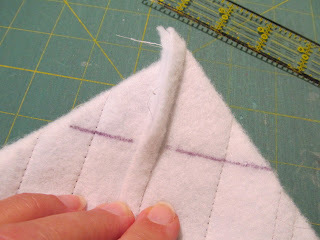 Fold the bottom edge over to form a triangle, Sew side to side, trim. Do both sides. Cut lining, 34” x 16” and fold lining in half and sew along the bottom and side, leaving 2-3 inches open to turn bag right side out. Turn bag with the batting on the outside, insert lining good side to good side. 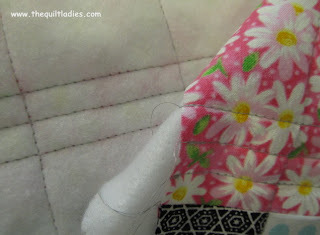 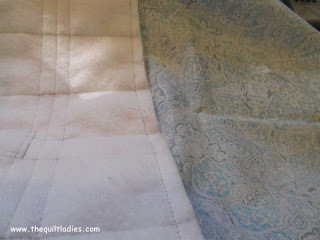 Sew to the top edge using ¼” seam allowance. 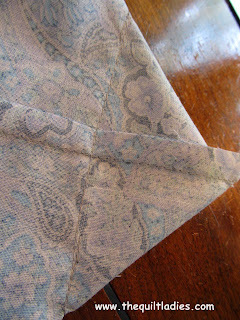 Press top edge and top stitch. Hand sew the lining opening closed. Add top stitching across the handles to hold them secure. 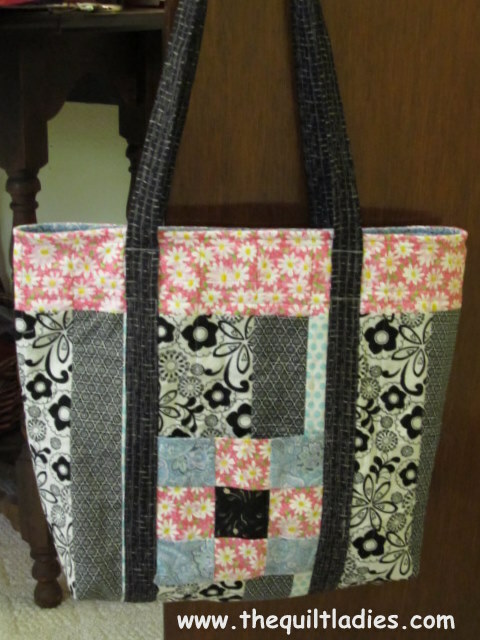 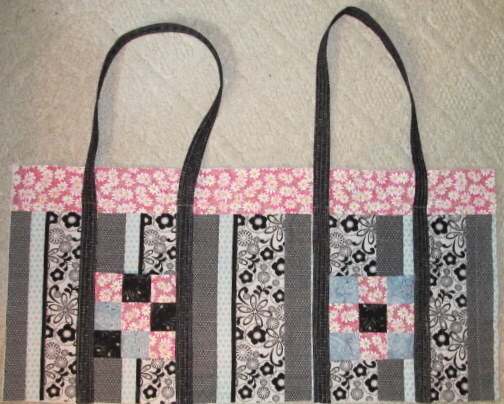 The Quilt Ladies Finished Tote bag.